It’s Labor Day weekend, time for the Oregon coasties to hide while tourists take over the town. Most of us moved here to get away from crowds, to escape stop-and-go traffic, cities full of strangers, and long lines at restaurants, stores and gas stations. We like our small-town setting where we can move around freely, never wait in line, and always run into someone we know. So does everyone else. 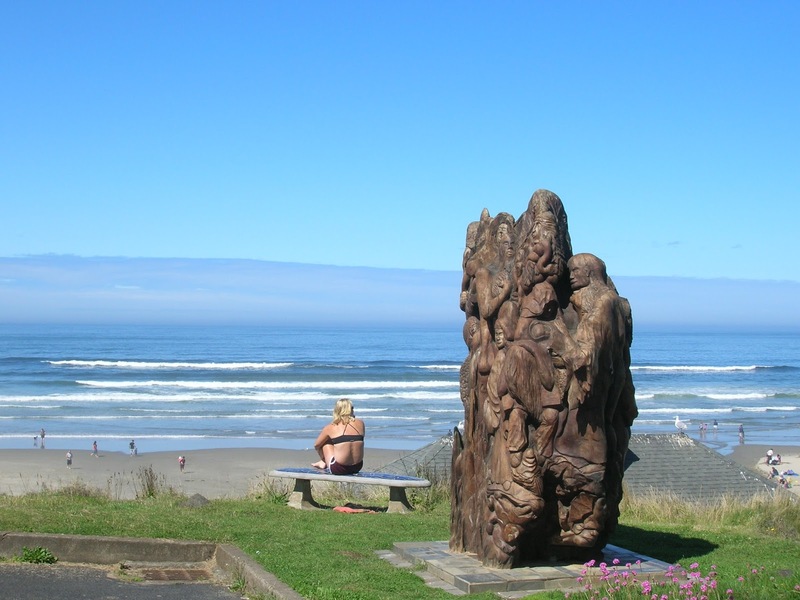 The Oregon Coast is one of those places people go for recreation. As a result, from around Memorial Day to sometime after Labor Day, the place is packed with visitors. Every other vehicle crawling down the highway is from somewhere else. Lots of those vehicles are slow-moving RVs and big trucks towing boats, but even the little cars slow us down as the drivers gawk at the sights. I’m thinking okay, it’s the ocean, it’s a bridge, it’s a lighthouse, take your picture and move along. At the grocery stores, travelers fill the aisles, not knowing where anything is and having to confer on every purchase. Shall we have corn with that? What kind of cereal do you like? Me, I’ve got my list, and I’m still in my church clothes. Let me get my food and go home. I drove through Nye Beach yesterday to take pictures and found nowhere to park. Visitors wearing shorts, leading children and dogs, and snapping pictures with their cell phones, clogged the sidewalks and spilled out of the eateries. Great sweating masses of visitors stared at the ocean. I surprised a couple kissing on the stairs by the Visual Arts Center. I want them all to go home, but like everyone who lives here, I know our economy depends on folks from out of town coming here to spend their money. They stay in our motels and RV parks, eat our food, fill their vehicles with our gas, and buy our glass floats, thereby enabling the local kids to have school clothes and me to buy groceries. I get it. 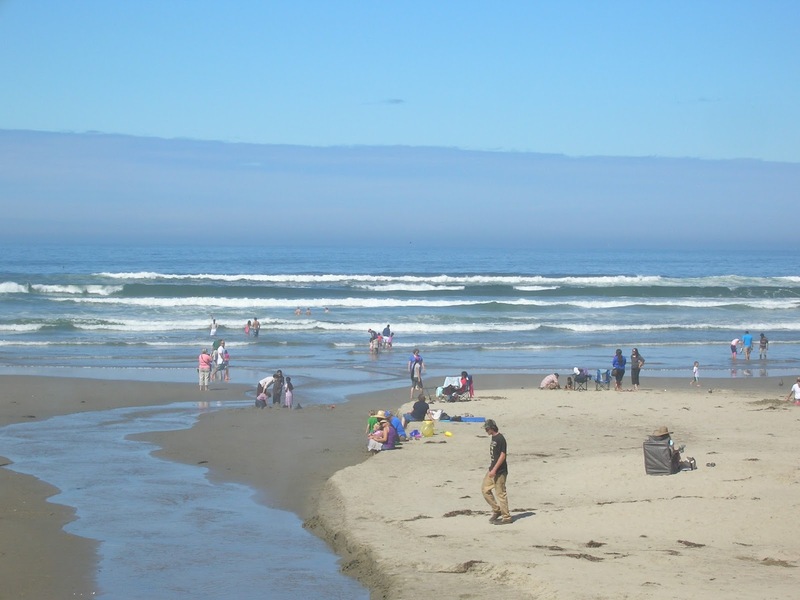 Like a large portion of Oregon Coast residents, I moved from a place people leave for vacation to a place where people come. My husband and I were tourists here, too. We walked on the beaches, visited the lighthouses and aquariums, shopped in the gift shops, and ate in the restaurants. We fell in love with the place and resolved to move here someday. And then, like so many Californians who first came as visitors, we sold our house and drove the big rental truck north. Now I have the nerve to resent all those tourists. Twenty years ago, I was one of them with my California license plate, slowing down traffic to take pictures. I must try to embrace these wide-eyed tourists as just like me. So come, let me show you my beautiful home. Then, either learn to drive the speed limit or go back to wherever you came. And by the way, put away the cell phone. Why drive hundreds or thousands of miles if all you’re going to see is your iPhone? Tomorrow, the local kids are going back to school. Soon the weather will turn, the tourists will trickle away, and we will reclaim our town. But today, I’m staying home in my little piece of paradise. Previous Previous post: Help, my books are loose and taking over! Next Next post: When is a Garage Not a Garage?